Below is a diagram that shows we have the choice to focus our mind on what we choose. 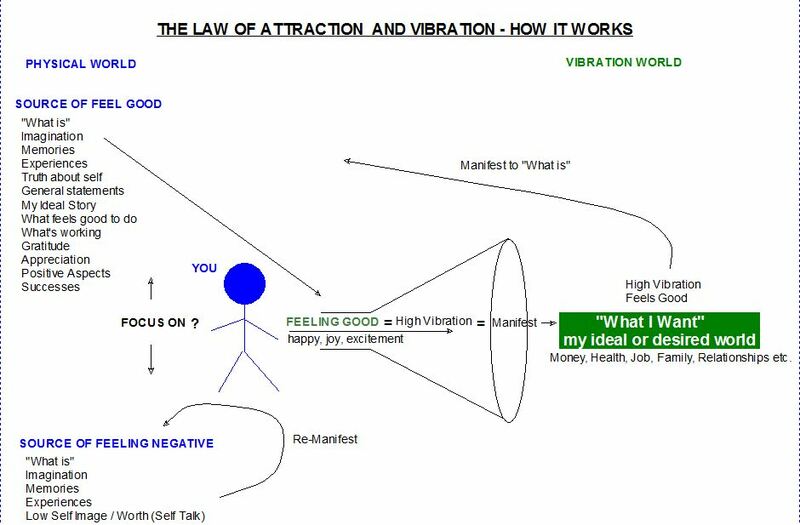 If we focus on what does not feel good, you can see by the circular arrow that we simply get into a loop of attracting more of the same. If we focus on what does feel good you can see that the feel good vibrationally connects us with what we desire and it manifests in our physical life. It’s that easy to attract what you want, to attract everything you want. Just feel good which means to dominantly hold a vibration in the present moment that equals the vibration of what you want and the law of attraction will bring you together with it.